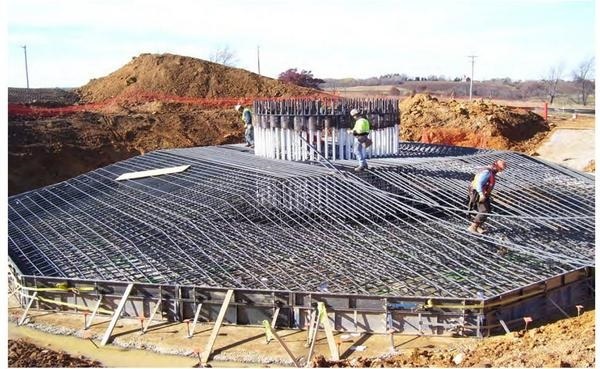 You are here: Home » So what’s the carbon foot print of a wind turbine with 45 tons of rebar & 481m3 of concrete? Tip o’ the hat to Ocotillo Wind Turbine Destruction and Callous Wind for this gem. This cement plant supplies cement for many of the wind turbine tower pads. What you see are the emissions from their coal which spews tons of mercury into the air. Also the sky is brown from all the limestone dust. And I will gladly publish it for you.